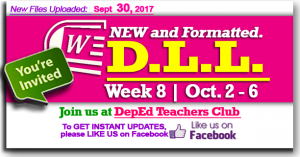 New DLL UPLOADS: K-12 Daily Lesson Log guidelines for daily lesson preparation was hereby issued by DepEd to institutionalize instructional planning as a critical part of the teaching and learning process in public schools. These guidelines are meant to support teachers in effectively organizing and managing K to 12 classrooms to be genuinely responsive to learners’ needs. These guidelines in the preparation of K-12 Daily Lesson Log shall instill reflective practice among teachers by providing them opportunities to think about and reflect on their instructional practices. K-12 Daily Lesson Log preparation is part of the teacher’s core function as a facilitator of learning inside the classroom. Well-prepared and well-planned lessons are fundamental to ensuring the delivery of quality teaching and learning in schools. 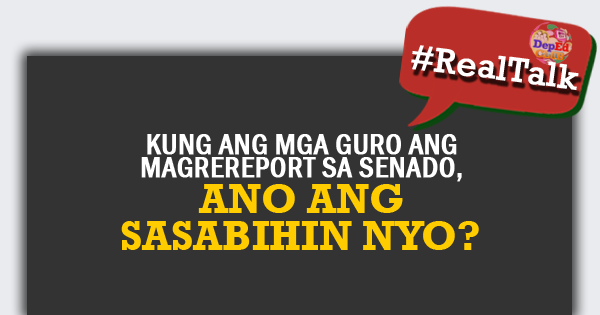 What really happened to DepEd ‘s huge budget allocation?